A new dose of Parisian romance provides a fragrant story beginning with passionate accords of raspberry and rich rose nuance. Face of the new Lancome Tresor Midnight Rose is Emma Watson, who posed for photos of the campaign in Paris. Middle noteset: jasmine, peony, currant buds, pink pepper. Base notese: Virginian cedar, musk and vanilla. 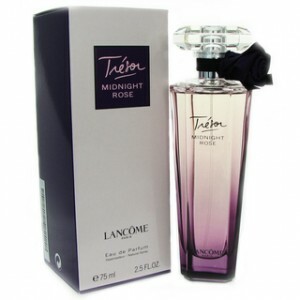 Beli parfum original Lancome Tresor Midnight Rose for women sekarang, harga termurah di Indonesia! !